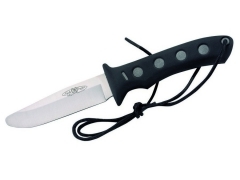 Nieto - Toolshop - OutTac Gear - High Quality European Cutlery since 1996! 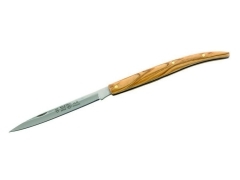 Full tang blade construction with handle scales made of Olive wood. 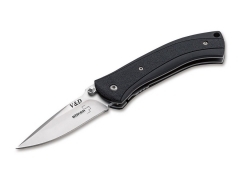 The rather sturdy blade with a 4 mm back is made from quality steel AN.58, tempered to a Rockwell hardness of 58 to 59 HRC. 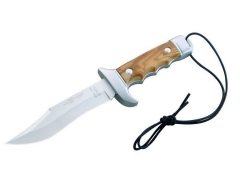 Low-cost Bowie Knife with plastic handles and brass mounts. 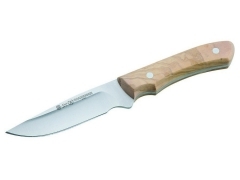 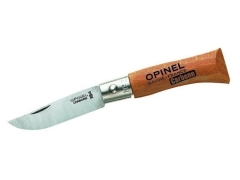 Small fixed blade knife with a drop-point blade and olive wood handles. 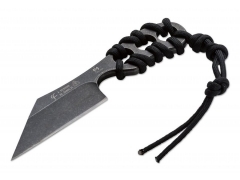 Comes complete with a leather sheath. 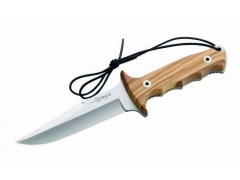 Nieto outdoor knife with Olive handle and leather sheath. 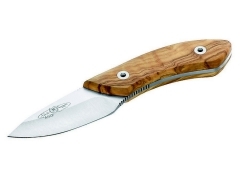 Nieto Stiletto style back-lock folder with Olive wood handles. 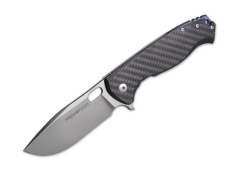 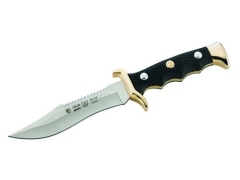 This model features a stainless AN.58 blade.